Can one soul save another? A young couple, Sam and Adri, have an argument about Adri’s procrastination as a writer and belief in Virginia Woolf’s idea that in order to write well, women need a secure income. Sam, a police officer, goes to work that night, falls through a roof and hits his head, only to discover it is Virginia Woolf who will take him to the moment of his brain-death. Meanwhile, Sam’s Sergeant guides Adri through the early days of grief – and tells her she will receive Sam’s wage for the rest of her life. Saviour is about the need to live and die in peace – and just how difficult that can be to achieve. The play promises the audience a fast-paced, imaginative and compelling theatrical journey that has strong links to real-life events. 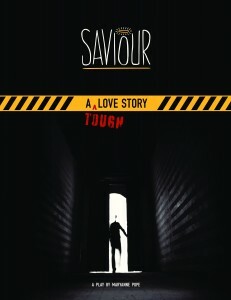 Though a love story, Saviour challenges the notion of romantic love and suggests instead the staying power of tough love. In Virginia Woolf’s 1929 book, A Room of One’s Own, the author suggested that in order for a woman to be able to write fiction well, she needed a secure income and a room of her own in which to create. The playwright, Maryanne Pope, had read the book multiple times and discussed Woolf’s ideas with her husband, John, who disagreed. John believed in order to achieve one’s dreams – such as becoming a writer – hard work and perseverance were far more important than external circumstances. 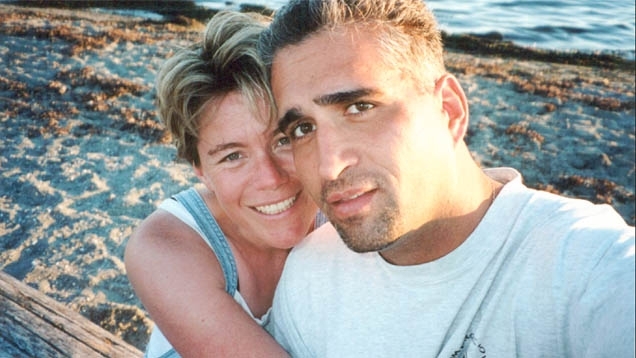 However, since John died in the line of duty, this meant that Maryanne was entitled to receive John’s wage for the rest of her life. For a writer, this was a dream come true – but it was delivered to her on the same platter as her soul-mate’s life. So in the Saviour play, when the John character (Sam) discovers that it is none other than Virginia Woolf who is to be his “death-walker,” he is not impressed. He is, however, forced to face some very uncomfortable facts about his seemingly untimely death at 32.